A more complete version explaining roulette odds and bets is at http://www.roulettephysics.com/roulette-bets-odds-and-payouts/. 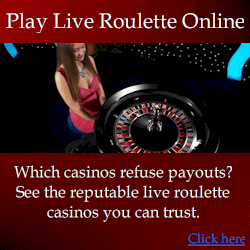 The game of roulette is not different from any other casino game, you have to gamble to attain your desired success, and this is based on the odds and getting it right from the scratch. Conquer all obstacles so that you can be on the winning list. Odds in roulette can be explained with respect to edge which are used in different casinos to minimise player’s success. On the other hand it can be said to be number that makes you a winner, your ability to make right prediction gives you a better odds. Take for instance in most of the casinos house edge is calculated by dividing the number of zero in a wheel with the list of numbers that made up the wheel, double wheel roulette game has its edge to be 5.23% (2/38), on single wheel it is 1 out of 37(2.7%) but in a case whereby you made use of a roulette electronic device, your chances of winning is 1 out of every 10 spins. Have you ever consider winning different bet in the game of roulette and the reason behind having the same edge for all table bet. The probability of winning may be on high side when you place your bet on different number but it vice versa when it comes to loses. When you bet, take note of house edge and not only odds and pay-out in roulette. This can be explained using a simple arithmetic expression using European single wheel, playing on even, assuming the ball lands on red and black pockets with number 16, the player has the game, the edge is said to be 16/37*100which is 43.24% when you win (100-43.24 = 56.76 when you lose) then we have 56.76-43.24= 13.52%, the edge is set at 13.52%. When we consider double wheel roulette, the edge is calculated thus: assuming the balls land on red or black pocket with number 20, then we have (20/38*100= 52.63) we have on the approximate note 52.63%. Then we have (100-52.63=47.37) and (52.63-47.37= 5.26%). The edge is set at 5.26%. The story is a little bit easier on single wheel because winning is on all unit while loses is on a single unit but on double wheel it is side by side. Although the pay-out and odds may not be the same, the edge is always the same irrespective of the casino. Pronounced bets: In this case, you may not place the bet but the bets will be verbalised for all to hear, it is not allowed in all casinos because it gives room for dubious players to partake in the game by placing a bet without having a dime. Bydweller bets: This is not common with roulette game starter, it is commonly found among the experienced (professional) roulette players. This is the only type of bet that gives the player advantage over the casino, a form of betting that deals with placing your bet on certain segment of roulette wheel. Take for instance if a Bydweller bet is placed on zero in a single wheel roulette, the bet takes care of 0, 3, 26, 32 and 15. The reason for this is not far fetch, it is because segmented bets gives the player winning chances. Bydweller bet is peculiar to a single wheel roulette, bets are placed on the table allocated for betting in a disk with a circular shape, the dealer picks it up and then the bet will be verbalised to the supervisor in the casino. On a professional view, it will not be encouraged because often time, it gives room for side comments which commonly leads to distraction. 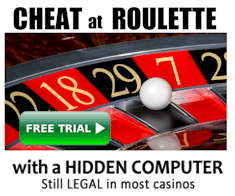 It is important to take note of the fact that roulette odds should not be expected only on a biased wheel because this may put player at dangerous end, if eventually no wheel is biased or when you go in for online roulette. Also placing bets on several numbers with the mind set of having the right odd, though you may be lucky to win as much as possible but your losses is equivalent to profit. But when you put it at the back of your mind that roulette game favours 36 number wheel, then you can set your prediction to get a winning odds rightly, the ball needed to land on a number for spinning 36 times so as to locate the odds. This implies that the landing time will be 2.63% on double wheel and 2.70% on single wheel. Casino should ensure that wheels are practically free of bias because house edge on self-standing numbers depends on a minute changes that occurs among the pay-out and the odd that wins, the smallest difference could turn to be the player’s favour.